May is here again and the lambing is in full swing on the island. The red knecked phalaropes will no doubt be reappearing in the next few weeks and currently the weather is fine, after making their transcontinental migration back from South America. 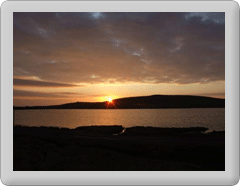 Fetlar Interpretive Centre is now open again 7 days a week for the 2014 season. Opening hours have been slightly extended this year to better match with ferry times. The opening hours for 2014 are Monday to Saturday 11am to 4pm and Sunday 12 noon until 4pm. The craft shop has an extensive range of local crafts "Handmade in Fetlar". Fetlar cafe is open on Fridays from 11am - 1pm but will be moving to summer opening on the 23rd of May. Days and times to be confirmed. Fetlar shop opening hours are Mon,Tue, Wed, Fri and Sat 11am to 1pm. These will be extended when the cafe moves to summer opening hours.